Timeshares are so easy to buy, selling one is a different story. Timeshare companies have made billions of dollars by making the sales process long, pressure-filled, and arduous for potential buyers. So much so that signing a contract is a welcome relief. You can literally fly through your contract, completing the transaction in a fraction of the time that the sales pitch took to complete. However, when you are ready to part ways with your unit, you’ll find an uphill struggle for a number of reasons. Why is it So Difficult to Sell My Timeshare? Developers have flooded the market: There are so many timeshares on the market that even in a desirable locale like Orlando or Hawaii, the competition is fierce. Your condo needs to be unique to stand out. Older properties are hard to sell: If you own a unit in an older property that hasn’t been updated, it could be even more difficult to sell. If this property doesn’t receive the necessary maintenance fees to make upgrades, it will look dated and potential buyers will bypass it for newer properties. Scams targeting timeshare owners: Scam artists understand the desperation owners feel when trying to get rid of a timeshare and will take advantage of it. Never answer unsolicited advances about your timeshare and never pay an upfront fee to sell your unit. Research the marketability of your unit: Overall, there’s not a huge market for timeshares. However, some are more valuable than others. Do your research to find the value of your property and set a competitive price. List and advertise it in as many places as possible: To sell your timeshare, you must cast a wide net. Look at timeshare-specific sites to post your listing as well as Craigslist and eBay. Also, look at travel-related websites and ads in daily newspapers. There are also real estate agents who specialize in the timeshare market. Ask your timeshare company about a buyback program: The timeshare company may have a formalized program for buying units, although this program is often misrepresented in the initial sales pitch. However, there may be a hefty fee attached to this program. 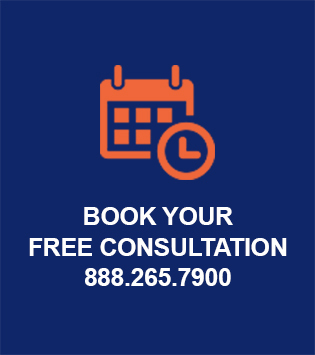 For a free consultation with a timeshare cancellation attorney, please contact us at 888.265.7900, or book online.